I realised the other day that it has been far to long since I did a giveaway ! Shame on me. The best method to remedy this is to actually do one immediately. I would like to thank all of you lovely readers for your support and your lovely comments. I cherish each and everyone and without you I wouldn't have this blog. So without further ado I am giving away two charm packs of the wonderful new line of Sweetwater called 'Lucy's crab shack'. It has all the usual hallmarks of Sweetwater with their amazing attention to detail and colour coordination. I you fancy to get hold of those two packs then leave me a comment. Sure, I'll participate ;) Thanks for the giveaway, I would love to win some Lucy's Crab Shack! There is so much to love about these fabrics- the colours, the prints! So happy! I love those bicycles, I hadn't seen more than a couple of those prints before. You've got to be in it to win it! Thanks for the chance. What a gorgeous collection. And how fun it would be to win! Thanks for the chance. This set has such a great feel about them. All retro fun with trendy staying power. Wonderful fabric. I love it. Maybe being #13 will help. I'm never lucky in this giveaways. lovely fabrics.. mm wonder what could be made with them? Love Sweetwater fabrics and this range is just adorable. Thanks for the chance to win. Ooh I am loving sweet water at the moment, thank you for the chance to win! Thanks for the chance to win Judith. Love those bicycles! Thanks Judith. Lucy's Crab Shack is top of my want list at the moment! Where did you find them?? This is a truly fun collection :) Thanks! I love this fabric! Would be great to win. Thanks for the giveaway! And greetings from Spain! I love the number fabric - just my thing!! Thanks for a lovely giveaway! These are lovey, thanks so much for the giveaway, I'm hoping! I really like Lucy's Crabshack, it's so cute and summery! I love this fabric line, the colors are great and the texts and numbers... Thanks for the chance to win. Thanks for offering such a lovely and generous giveaway! Great line of fabric; it just screams summer! Thanks. me me me, Mr random generator pick me please! Judith, what a great chance! Cute fabric! Thanks for the chance to win! Adorable! Thanks for a chance! Amazingly I'm running short of charm packs - this would be a great win. I just love Sweetwater fabrics. Thx for the chance. I love this line! Thanks for the great giveaway! I love the colors-so summery! Thanks for the chance to win! Huge fan of Sweetwater and Lucy's Crab Shack is one of their best. Thanks for the chance to win. Just love Sweetwater's fabrics. Thanks for the chance. Beautiful fabrics. So fun! Thanks for the giveaway! this is such a cute line...thanks for the opportunity! The fabrics are lovely, I expecially love the bicycles. Thank you for the chance to win some of those! Tanks for the giveaway. Lovely fabric line. Very nice! This is such a beautiful collection! Thanks for the giveaway! Lush fabric, thanks for the giveaway. I've been so waiting for this line to come out! Thanks for the chance to win some! Thank you so much for the chance, I love this line. Yay - I love, love, love Lucy's Crab Shack! Thank you so much for the chance to win! I love this line of fabric! Thanks for the chance to win! fabulous summer line - thanks for the chance!!! What cute prints. Thanks for the chance to win. Oh that's lovely. Thanks for a great giveaway. I'd love to have a little taste of those fabrics! Thanks for a great giveaway. 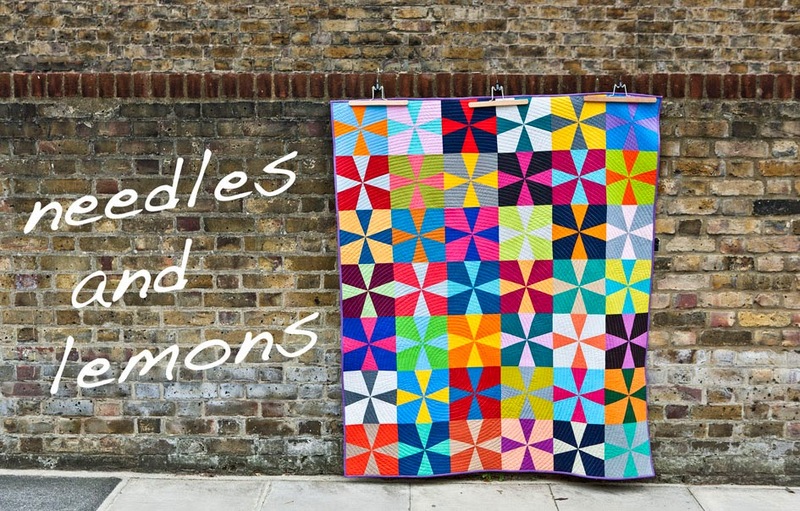 These are such cute fabrics - thanks for the chance to win them! Oh, what pretties! Those bikes have me grinning. Would love to win this! Sweetwater is my favorite design taem. Thank you - and check out my blog for a giveaway too! Haha I don't even know if those are the correct words but that's the song that came to mind. I love this line and I admit that I already have a charm pack but could use some more to make a quilt with. 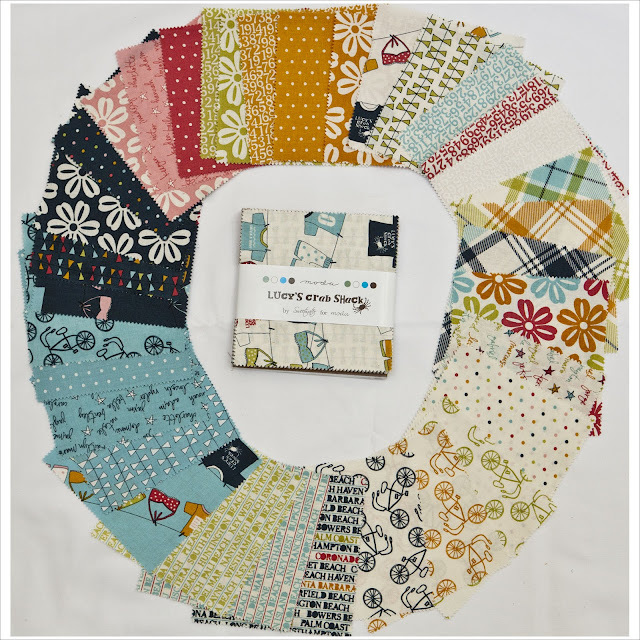 I love this Sweetwater fabric range - come to think of it I really love all of Sweetwater's fabrics but I'm on a strict fabric diet, so to win these charm packs would be amazing. Thanks for the chance to win. I love the line. Thanks for the chance to win! Lovely charm packs. Fun give away! Thank you for the lovely giveaway! I love Sweetwater -and this new design is wonderful! thanks again! I love this fabric line. I live in London now but the patterns remind me of the summers that I spent in Rhode Island as a child. What a fun give away! Lovely fabric line! Thanks for the giveaway. Thanks for the giveaway. I love this line of fabric, and really all things Sweetwater! Space girl. this is my first go at a giveaway, lovely fabric hope I win. Great giveaway Judith. Thank you for the chance. hi great fabric would love to win, in case I have done it wrong here's my email. I'd love to win. Numbers and a maths teacher so go together! Oh, yes! I'm British...did the 's' on Maths give it away! I would love those Charm Packs.